Parking management systems help avoid unnecessary traffic congestion, reduce the emission of harmful gases and enhance revenue benefits of parking operators. With an aim to utilize every inch of parking space available, Trafitek brings tailor-made solutions that ensure environmental benefits and economic efficiency with excellent customer service. Parking guidance for car parks provides immediate directions to an available parking space.The system's flexibility gives an overview of the area and the spaces that are used most frequently, less frequently or avoided altogether by customers. City-wide parking guidance systems show drivers the way to the nearest available parking space. We offer apps and mobile solutions for all our ITS applications. Our focus is a simple and satisfactory user experience that delivers value to both operators and travellers. By providing up-to-date and accurate information before and during a trip, we make journeys much more pleasant. 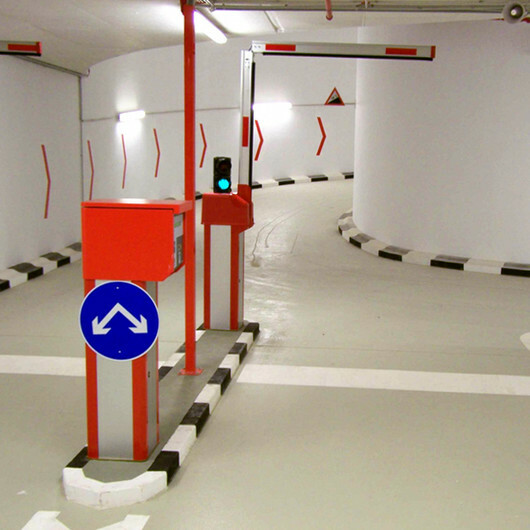 We offer the most suitable vehicle counting and detection technology depending on site conditions, traffic behaviour, and other environmental factors.The detectors gather information on traffic movements in and around car parks, and this data is transmitted back to the central parking guidance system. The data is subsequently used to determine the car park occupancy, and transmitted back to the public through display. Heavy urban traffic makes it is difficult for motorists to find a vacant parking space especially in unknown areas. We solve this problem by showing the way to the next vacant parking space. Our efficient parking guidance system for towns and cities reduces search time, improves traffic flow and increases car park utilisation. A wide network of installed electronic message signs is used to present traffic information to the public on a daily basis to millions of travellers. The information is made available to the public through various devices tailored to customer needs.